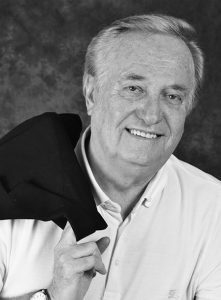 R. Wayne Gilpin, founder and former president of Future Horizons – the first publishing house focused solely on autism – died April 17, 2016, after a long fight with multiple myeloma. R. Wayne Gilpin, the publisher of Future Horizons — the first publishing house focused solely on autism — died April 17, 2016 after a two-and-a-half-year fight with bone cancer. His death occurred in the 20th anniversary year of Future Horizons, which Wayne founded after he had spent years trying to learn why his son Alex was “different.” Alex had been erroneously diagnosed with cerebral palsy, muscular dystrophy, and retardation by three doctors before Wayne read a magazine article that made him realize Alex had autism. Read more here in our press release. Future Horizons was founded in 1996 in the belief that dissemination of information about autism and Asperger’s syndrome through books, conferences, and other media would beneficially impact those who live and work with the condition, personally and professionally. Devoted entirely to supporting and fostering such works and programs, Future Horizons has grown to be a world leader in publications and conferences on autism and Asperger’s syndrome. Please help us celebrate Wayne’s vision and life by providing your thoughtful words below in our comments area. Read about the founder’s daughter, Jennifer Gilpin Yacio and the updated expansion of Future Horizon’s Inc. in the About Us area. Purchase Wayne’s Book, A Lifetime of Laughing and Loving with Autism, in eBook or printed format. In 1992, I attended the International Conference on Autism held in Toronto. I purchased “Laughing and Loving with Autism” at your book table. That evening, I read it from cover to cover. I smiled, I laughed and even shed tears of joy. My boy was struggling. And yet, over the years, I was able to find hope through struggle, laughter through stress and a heap full of knowledge and understanding from the books that you offered. You changed my life. Because of your devotion, your tireless dedication to the world of autism, I can proudly say that my son leads a very happy and fulfilled life. His life is everything that you said it would be. Because you believed. You accepted. You brought hope. You truly cared. My son and I will always be forever grateful. Thank you for your vision, your wisdom, your strong leadership and your caring heart. Wayne was an inspiration and a mentor to me. I will always remember his counsel about how to reach out and communicate with those who work with the autism community. His support of music therapy was early and enthusiastic and much appreciated! Finally, his humor was a blessing to all of us. Wayne tirelessly pursued his passion as a world leader improving the lives of people who are impacted by autism. His influence on the quality of life for countless individuals and their circles of support are too immense too even imagine. The world has lost a talented leader and caring advocate. I have lost a friend and colleague. Caring thoughts to Wayne’s family, his Future Horizons family and his friends in this time of immense sadness. I first met Wayne over 20 years ago when my son was diagnosed with autism. He was such a kind man, always willing to share his son’s story and to help lift others up as they were navigation through their won. Every event I attended where Wayne was present he took the time to visit with me. At the first Autism Conference in Corpus Christi that my husband was able to attend Wayne’s kindness and willingness to connect with people was instrumental in helping my husband to see past the limitations of our son and to begin to see a future filled with different possibilities. And of course his books, Laughing and Loving with Autism, certainly helped as well. It gave a voice to husbands and fathers and allowed them to share and laugh along with other men. Wayne was a kind soul and he will be missed. I am blessed to have had the opportunity to have known him. Some persons have the personality of a king. I knew Wayne for well over twenty years, mostly as a distributor of his many publications. As commercial partner (and sometime competitor), it was an unfailing privilege to work him. Not only did he wisely rule the ASD publishing realm—he made it what it stands for. It is with great sadness that we learned of Wayne’s passing. We both feel so fortunate to have known and worked with Wayne and have always realized the tremendous impact he has had on the world of autism. His legacy will surely continue through Future Horizons, Jennifer, and his family. Wayne believed in us and gave us the wonderful opportunity to share our work. He will be greatly missed. Our thoughts and prayers are with his family during this most difficult time. Wayne’s passing is so very sad but may we always remember all the good he contributed to make this world a better place for all. May his spirit find as much joy and contentment on it’s journey as he gave in life! My deepest condolences to his family. Wayne dedicated his life to autism after his son was diagnosed. His drive to improve treatment of individuals on the spectrum motivated him to create Future Horizons. His company has published books with valuable, practical information which have helped teachers, therapists, parents and individuals on the spectrum understand the conditions. The autism community will miss him. I am so sorry to hear of the passing of a dear friend of the Rio Grande Valley, Mr. Wayne Gilpin. He was so kind as to bring Temple Grandin and many others to South Texas through his conferences that gave hope and support to the many families and teachers. Thank you Future Horizons and thank you Wayne! I first met Wayne at an autism conference a few years ago. He was such a kind person with a passion to help others… I will forever remember his kind smile and all he has given to the autism community. My prayers go to his family. Working with the Future Horizons family was my very first job. Wayne was like a father to me at times. Wayne gave me many opportunities during my years at Future Horizons. I started out in the office as a part time shipping clerk. Soon after I was traveling for the company working conferences and having dinner with the speakers. Even when I moved on in my career I always knew I could turn to Wayne for advice or just when I needed to talk. A few years ago a friend wanted to attend a conference but didn’t have the money, I contacted Wayne and we made it happen. I will miss you my friend. Thank you for your friendship, love and most of all making Future Horizons special in my heart. “If I have seen further, it is by standing upon the shoulders of giants” Wayne was a true giant in the autism community. He was there for families providing information and education when we did not have the internet in our homes. Future Horizons was the trusted resource for countless families when there were no professionals who understood. He was the voice who could understand the joy, the pain, and the humor in our journey. He will be missed, but he is leaving a true legacy. Though I had never met or knew about Wayne, I recently learned about Future Horizons which not only featured a talk by Dr Grandin but also give a very different perspective of autism. So sorry to learn of the passing of Wayne. He was always supportive of the work we were doing at the Autism Treatment Center. We will miss him. Bless his family and friends. Thank you Wayne for your efforts to help families like ours facing autism. Our paths crossed in 2007 at the Texas State Conference on Autism in Dallas. God Bless you. Hated to read of Wayne’s passing. Prayers both for his family and the friends he worked with. Sadly he will never know of all the lives he has touched by offering books. May he rest in peace. Wayne was a pleasure to know; full of fun and stories. He had a beautiful vision and has helped countless families through Future Horizons and through conferences. It was amazing to know Wayne. My condolences to the Gilpin family. Wayne’s passion for autism and providing up to date and helpful information was life-changing for so many of us. 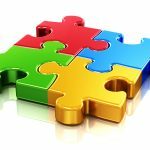 Future Horizons, Autism Asperger’s Digest and his other creations remain the top resources for all things related to autism. It’s truly a gift that one person’s dedication can bless so many. It was my pleasure to know Wayne. He is now free from pain and suffering. To Wayne’s family and the Future Horizons family, I will be praying for you during this difficult time. Wayne was one of the most generous persons I’ve ever met, with a great sense of humor and a capacity for loving his family, his work, and his country with extraordinary devotion. While we were on opposite ends of the political spectrum and teased each other about that, after 9/11 it was as though we could read each others’ minds because we grew to be very much in sync. He was steady as a rock, eminently fair, totally trustworthy, and a fount of wisdom. I watched him bear excruciating pain when he lost his mother and later his son. What a devastating blow to a father that was! I’ll always be grateful that he believed in me, and of course I believed in him. Wayne Gilpin is someone who truly made an indelible mark on the world. The numbers of individuals, families, educators, professionals and more whose lives have been positively impacted by his work is impossible to measure. The story of “the Dash” immediately filled my mind upon hearing of this great loss. What we do “during the dash” (the short horizontal line that signifies the most edited version of our time in this space, his being the symbol between the years 1938 – 2016) says it all. All of us have worth and purpose, and Wayne saw to it that many without a voice are now able to grab that dash, live more fulfilling lives, better understood by those around them. Thank you, Wayne. My family and I will forever be grateful to Wayne for allowing us to share our story with the world. Personally, I will always remain humbled that he launched my career as an author, along with so many others who have gone on to make a positive impact in the autism community and beyond. Thoughts of happy memories and wishes for peace go out to the entire family at Future Horizons. This is a tough time, indeed. Wayne, you are missed, and we will keep working hard, continuing to propel your mission forward. I only met Wayne just one time when I visited Arlington to meet everyone at Future Horizons, but he and I exchanged a number of correspondences throughout the years via telephone and emails, mostly about business but we always managed to talk about our mutual love for cocker spaniels, his for Copper and mine for my 13 year old black cocker, Mac. Wayne will be missed by his family and so many of our friends in the field, not only for his enormous contribution to the world of autism but because he was a truly warm, likable friendly human being. I will miss him. My sincere condolences to Jennifer, John & all his family as well as his FH family in this time of sorrow. Wayne will be much missed for always being so willing to share his wisdom and encouragement. His positivity was contagious and I am sure the FH Family will miss that too. May his vision live on in the publications FH produce. Wayne’s energy, devotion, and vision made a unique and lasting contribution to the autism community, educators, therapist and students, and countless families. He created a space for voices to be heard – both on stage at years of excellent, pioneering conferences, as well as via the written word. His tenacious belief that information about autism needed to be disseminated whenever possible and to a wide audience allowed even newbie writers a route to publication and resulted in notable additions to the field. I am tremendously grateful to have had the opportunity to know and work with Wayne and Future Horizons, and will miss his enthusiasm, laughter, and guidance. My sincere sympathy to the Gilpen Family and the Future Horizons Family. Wayne changed the world for millions of children and families struggling to live, learn and laugh with ASD. I am blessed to have known him. As an adult with autism, I´m so grateful for all the things Wayne have done for the individuals with autism and improve our lives. My thoughts with his family, all my love from Spain. Future Horizons, their authors and speakers have been such a wonderful source of information and support as my friends and I worked over the years to help our children and students. Bless Wayne and all the rest of you for everything you’ve done for us. Thank you. You’ve changed lives and helped more people than you’ll ever know. Wayne must have been an amazing man. My best wishes to Wayne’s family and friends. Very sad to learn of the passing of my friend and publisher, Wayne Gilpin, CEO of Future Horizons. He was a force in the autism field, driven by his experiences with his own son with autism, he steered his business acumen into providing valuable information to all in the autism community through successful books and workshops all over the country. 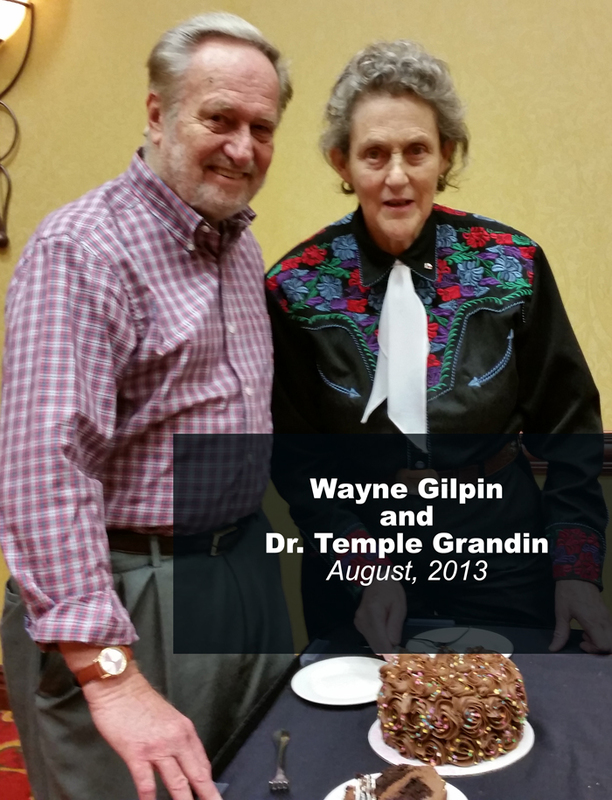 He was a remarkably charming, positive man, who launched the career of many an author including myself and so many others, and helped Temple Grandin spread her message worldwide. His smile and laugh was contagious. His fatherly guidance was appreciated by so many, yet it was clear his passion for his own children and family was a priority. My heart goes out to his loved ones, Jennifer, Katherine, Kim and his extended Future Horizons family, Teresa, Brad, Sherrie, David and so many others. Thank you Wayne for all you did and for the lasting impact you will have on so many families, schools, caregivers and individuals with autism! Will miss you! Wayne was more than a publisher to me. Through his energetic and dedicated example, he was a mentor, inspiration and impetus for me to share my passion for helping children with ASD, their families, and educators through his Future Horizons platform. I will miss him dearly but am so grateful to have known and loved him. May his family find solace in faith and happy memories. Wayne’s life-work and vision was to empower the communities impacted by autism, by providing a sort of “open source” culture that independently published real-world knowledge and best practices for parents, siblings, relatives, friends, teachers, practitioners and individuals diagnosed on the autism spectrum. The world has lost a visionary and the best tribute to his life’s work, is to continue his vision… The pursuit of truth and knowledge, to benefit each and everyone of us. To publish that knowledge and provide clarity amidst the noise for all topics in the context of autism. Thank you Wayne. I will never be the same, and will dearly miss you. My prayers and thoughts go out to his family, Temple Grandin, his devoted staff at Future Horizons and Copper, his beautiful dog.